In the (squat) clean, the weight is ideally met at it’s apex of travel before riding with it down into the hole. 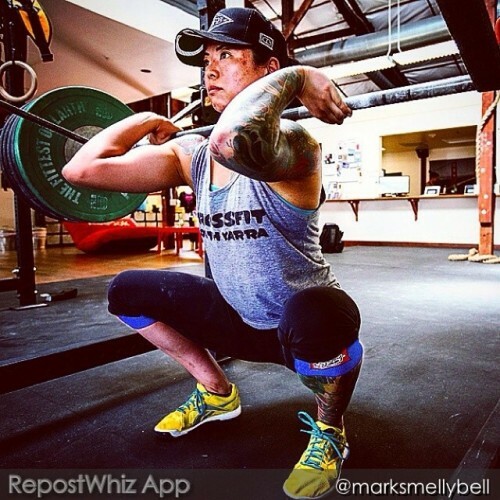 Dropping out to the bottom without first having secured the bar can cause the barbell to crash down onto the shoulders and destabilize the system. 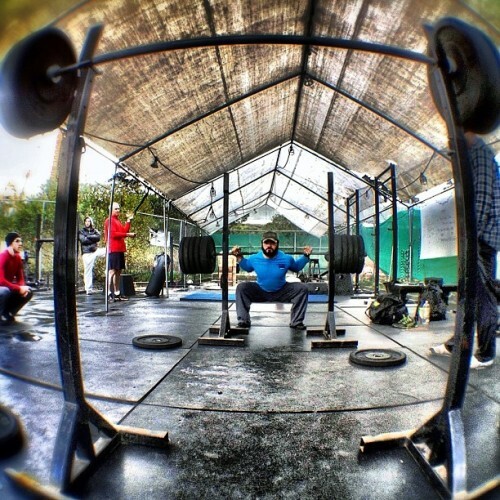 Notice also in the video, when meeting the bar above parallel, this act offers the athlete the advantage of gathering some eccentric load which can then be used to turn him/herself around out of the squat. Weightlifters will refer to this as catching the bounce. 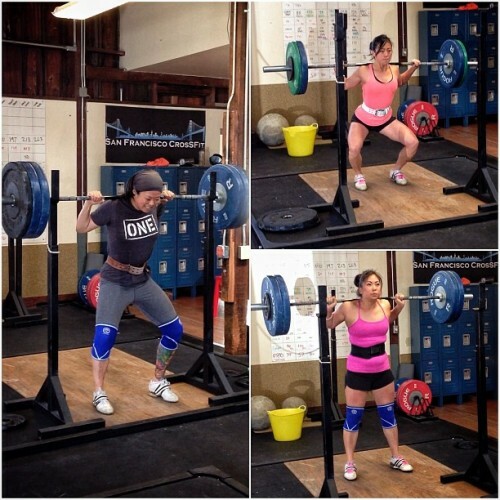 It’s Sunday; and while others like to do brunch, the ladies of #FuBarbell like to get together and #squat!